The sympathy with the aftermath of the earthquake almost doesn’t exist abroad. But there are still tons of problems to be solved in Tohoku. One day, we received a mail from a gentleman. “I am very impressed by your website and the interviews there. If you would be interested in interviewing me, I would be grateful to you. We need to remind the rest of the country that there are still tens of thousands of people and children living in poor accommodation and with the fear of radiation”. 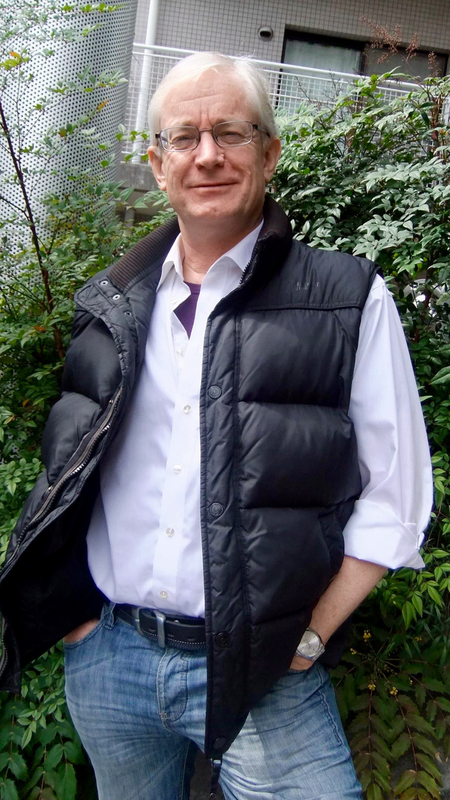 He is Andrew Grimes, a UK-born psychologist/psychotherapist who has been working in Tokyo for about 30 years. He asked us to cover his non-profit project for Tohoku people who have been suffered from mental problems since March 11, 2011. Actually we tried to support people there by interviews after the disaster. We went all the way up to a small town in Miyagi Prefecture to see a foreign woman who was supporting local residents. Also we heard so many 3.11 stories from those from any nation. So we decided to help his great activities. We realized that the problems that came about after March 11, 2011 have NOT been solved at all through the interview. Almost 5 years have past since then and some towns and cities seem to be recovered. But there are still tons of things to be solved and mental illness is the typical one. This 62-year old gentleman and his colleagues in the mental health care services have been struggling with something that needs a long time to solve. I’m a Psychotherapist and Clinical Psychologist who has been working in Tokyo for about 30 years. Right after the Tohoku earthquake and tsunami occurred on March 11, 2011, some problems that local people were suffering from started to come out. There are a lot of serious problems happening to children such as PTSD (Posttraumatic stress disorder), a mental disorder that can develop after a person is exposed to one or more traumatic events. They have been continuously mentally unstable. In addition the amount of alcohol that local fishermen and farmers drink increased compared to before the disaster. Then domestic violence increased. I thought that I had to help Tohoku people with my skills, knowledge and experiences. I thought they would be in need help, treatment and education. So I founded the organization called “APRICOT NPO”. APRICOT NPO is generally speaking an organization which is raising money and providing financial support through donations, and we hope eventually to do so through other fund raising events. Nothing is being spent on staff and 100% of all of the money raised goes to help other NPOs that are working with local communities, community workers, nurses, teachers and so on in Tohoku. For example, if there is a good project that makes children and their parents happy, and if they don’t have sufficient funds, we’re able to give ¥200,000 or ¥300,000 to help enable their project. That’s why we are based in Tokyo. It’s much easier for us to raise funds here in Tokyo. What we do for them is to support the professional people who are taking care of evacuees and refugees, such as clinical psychologists and community nurses. We go up to support them and listen to those who are supporting communities in the devastated areas. So hopefully we’re able to give them all support and listen to the experience of professional workers in Tohoku area. Also we support them on occasion by being with them in the daily life and daily work, and joining in the activities that they are creating to support the people in the area. We have worked for people in the devastated areas, such as Date City, Minami-soma in Fukushima Pref. and a small village in Iwate Pref. We’re based in Tokyo and we cannot go there very often. 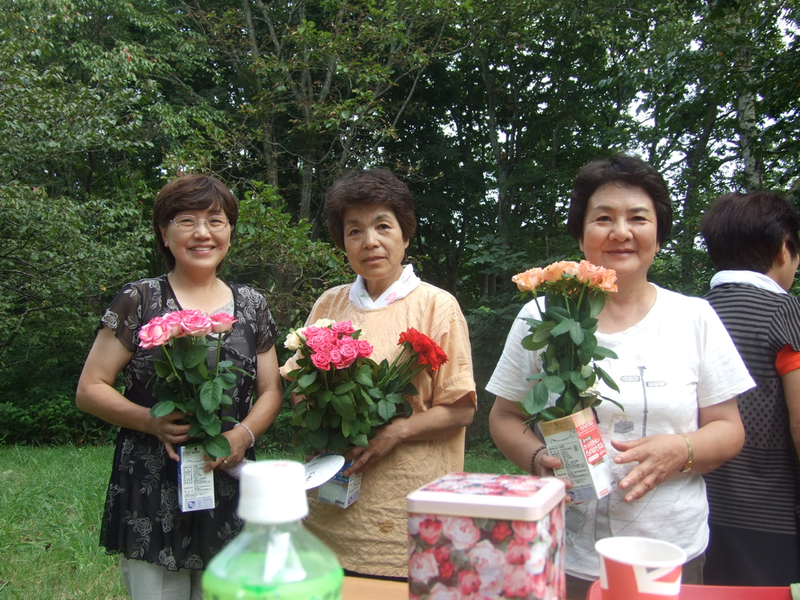 In the early years, we were able to visit there on an occasional basis and were involved in play activities with children and their mothers at local community centers, in association with Ms. Kanae Narui, the head of Fukushima Society of Certified Clinical Psychologists (福島県臨床心理士会). Thanks to her, we still have opportunities to go and find out about current situations. There are still a lot of children suffering, living and growing up in temporary accommodations. Also there are a lot of refugees in the Tokyo area. Some Western mental health care professional tend to think you should talk to the people who have been in the tragedy and get them to ‘talk out’ their stories. By talking about what happened to them, they will get better. That works to some extent in some situation in the US or West European countries. Actually professional psychologists came to Tohoku from a few countries. They went to a place along the coast and made a tent to set up a counseling center. But nobody went there. People in Tohoku, especially in the countryside, are not in the custom of talking a great deal about themselves. They are fishermen and farmers. They are not used to talk about their emotions. They are very stoic. So we had to find another way. There’s a Japanese psychologist. 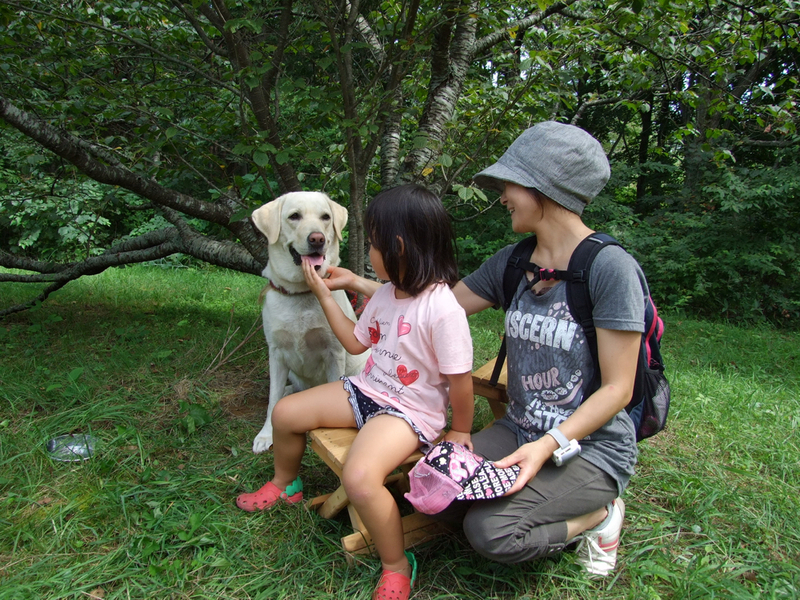 His name is Mr. Makoto Kuroiwa who used to go hiking in Tohoku area when he was a university student. So he knew that area. So he was able to get in touch with the community nurses. He knew that we’d have to try to find a way step by step to gain the trust. There were psychologists gathered from the rest of the country in the region and they formed small groups based on previously existing connections. So we began to create a safe space where people would come and listen to lectures on education about disasters and “To encourage people, it’s alright to talk about your feelings – only when you are ready to do so”. Because many were still in shock, many had lost their people. Kuroiwa Sensei connected with a community nurse and they went to the houses that were still remaining, all the temporary houses. They told people that they would have a pizza party soon. And they gave single roses with that message to the residents who survived the disaster. Kuroiwa Sensei had a friend who has a flower shop who volunteered to give some roses. Then 200 people came to the party. It was a good break out of their terrible reality, as every morning they were waking up, seeing the destruction and devastation. This way they could make contact with local people. In addition, Kuroiwa Sensei and community nurses visit there every summer and now they are having education or lessons by Japanese psychologists to be aware of what we should do in the disaster, be aware of what kinds of feelings they may experience after the disaster. This is a very pragmatic step-by-step basis. So we do both building a relationship with the local people and giving lessons by Japanese psychologists. What I heard first was that some families would have to live there in ‘temporary accommodation’ for at least 6 years. The problem is not just they are living in such small accommodations but also the split refugee families. Their fathers are living and working in the area and mothers and children moved to Tokyo because they worried about the radiation. Mothers and fathers are living separately. Much stress is put on mothers and the stress goes to their children. There’s much more to be done. But we are very small NPO that is planting a seed. All we can do is, perhaps, aid small scale projects. For example, an invitation came from Chernobyl in Ukraine to children in Tohoku about a year after the disaster. Money was applied for the central government and paid the cost for children. But there was no regulation to provide money for the translators. So we donated ￥200,000 to them. There are many ideas and many projects. What they need is a help to make their projects real, but sometimes available money is not enough to cover the creation of projects. So we can fill in the little wedge with a little money. We have to be very realistic because since the catastrophe people in Tokyo, Kansai area and the rest of Japan have had move on their lives after nearly 5 years now. So it’s not easy to raise money. But it’s not going to be solved in 1 week. People in Tohoku have been struggling since the disaster occurred in 2011. They still need help on a large scale. However I think it has been relatively little written about mental health care of children in Tohoku. Some Japanese media cover that issue, but Western press were afraid of radiation and they left Japan. And Japanese press stayed report the truth… only in Japanese. Much has been never translated into English. So sympathy abroad almost doesn’t exist. So as a native English speaker, I have to try to tell foreign media or English media about current situation in Tohoku. We have to try to keep to the subject. Please don’t forget the children and their parents in Tohoku. With the Olympics coming up, hopefully the press will be looking at people still living in temporary houses, located only 200km away from Tokyo.